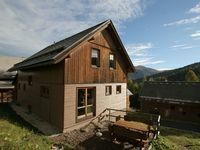 Property 2: Quaint chalet at 1700m with infra-red sauna, directly in the ski and hiking region! Property 3: Rustic cabin in snow-sure 1750m with pool & sauna, directly in the ski and hiking area! Property 13: Detached chalet built in 2013, high quality finish, highly recommended! Property 16: Exclusive detached chalet with very luxurious interior right by the piste! Property 19: Detached chalet directly by the ski slope; ski in, ski out! Property 22: Detached chalet directly by the ski slope; ski in, ski out! 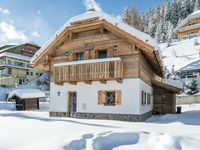 Detached design chalet with in-house spa on the Turracher Höhe. Property 23: Detached design chalet with in-house spa on the Turracher Höhe. A charlet in the Canadian architectural style. Property 25: A charlet in the Canadian architectural style. Property 28: Detached design chalet with in-house spa on the Turracher Höhe. Property 29: Beautiful luxury 5 star chalet, 17 people with in-house wellness centre. A winner! Beautiful detached chalet near the lake and the slopes of the Turracherhöhe. Property 33: Beautiful detached chalet near the lake and the slopes of the Turracherhöhe. Detached design chalet with in-house wellness on the Turracher Höhe. Property 41: Detached design chalet with in-house wellness on the Turracher Höhe. Property 42: Detached design chalet with in-house spa on the Turracher Höhe.